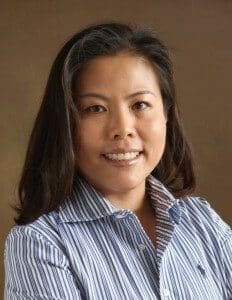 Doctor Jennifer Choi, DDS is from California, she attended UC Davis where she received her undergraduate degree in biology and attended University of the Pacific where she received her degree of Doctor of Dental Surgery.Prior to moving to Chicago, she practiced in Sacramento California. She completed hundreds of hours of courses in postgraduate dentistry. Doctor Choi has over 10 years experience as a General Dentist and has extensive training including Orthodontics and Implantology. Doctor Choi is a standing member of the American Dental Association, California Dental Association and Chicago Dental Society. She is board certified and licensed to practice dentistry in Illinois and California. When Doctor Choi is not practicing Dentistry she spends most of her time with her lovely family and also enjoys golfing and cooking. 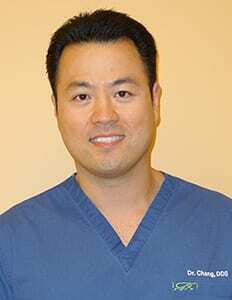 Dr. Randy Chang, DDS earned his Bachelor of Science (Biology) Degree from the University of Illinois at Urbana-Champaign. In 2001, he earned his Doctor of Dental Surgery Degree from The University of Tennessee Health Science Center. Upon graduation from Dental School, it was a natural transition for Dr. Chang to return home to begin his career in the Chicago area. He worked for two group dental practices gaining valuable experience before opening his first clinic in 2004. Dr. Chang now owns and operates eight dental clinics in the Chicago area. He consistently attends numerous continuing education courses which allows him to stay current with all of the advances in Dentistry. More importantly, Dr. Chang always tries to empathize with his patients and enjoys the fact that dentistry allows him an opportunity to help people. He is board certified and licensed to practice Dentistry in Illinois, California and Tennessee. Dr. Chang is a member of the Chicago Dental Society, the Illinois State Dental Society and the American Dental Association.